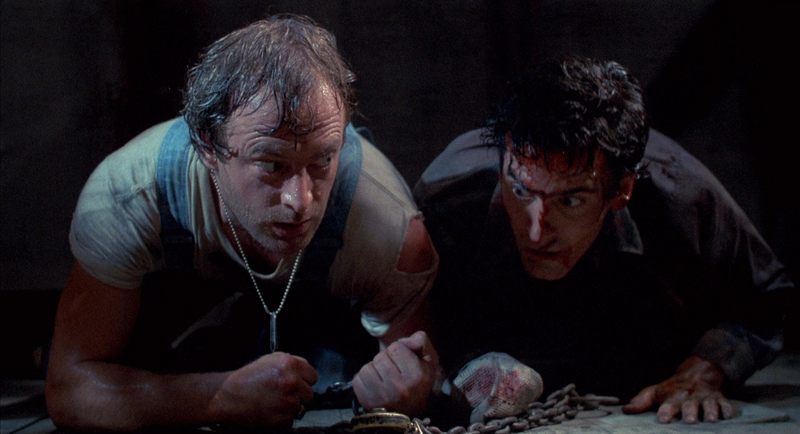 Well, I mentioned I wanted to tackle the first two Evil Dead movies when I took a look at a ton of Army of Darkness DVDs and blus, and today's the day. We're not going to tackle quite as many obsolete older editions this time around, but we're going to look at the definitive editions for both titles and a several older ones to give an overview. 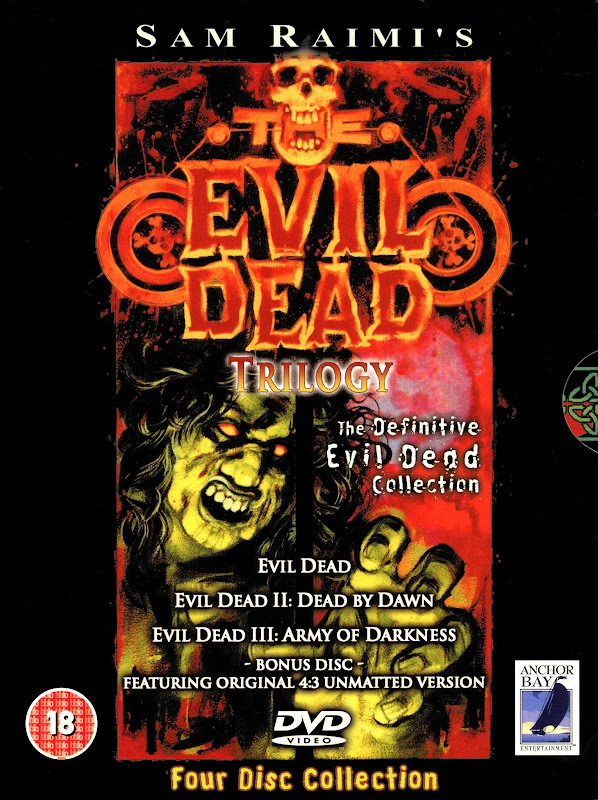 I've actually owned plenty more Evil Dead I & II DVDs back in the day, but I've sold them off at different times. But this piece should still highlight pretty much all the releases worth caring about today. 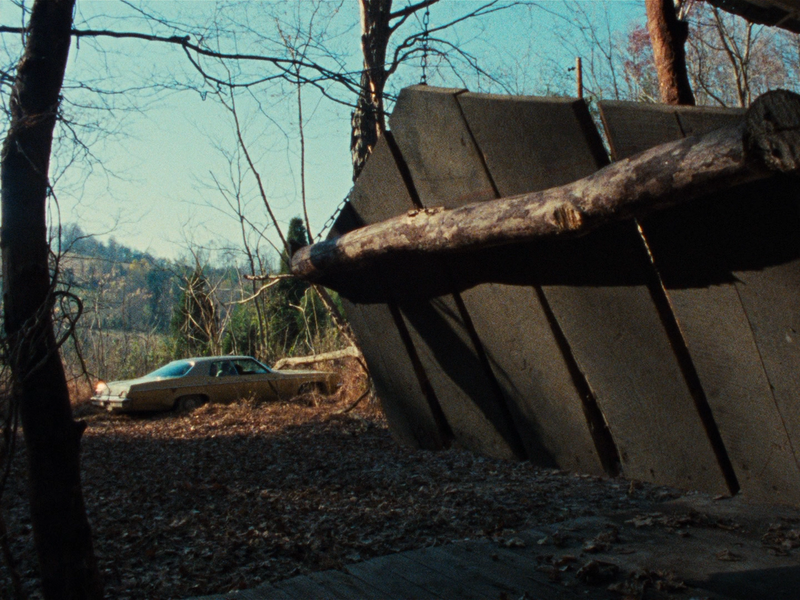 I shouldn't have to tell you what the Evil Dead movies are. Sam Raimi's original was a fun, scrappy low budget horror film about demonic possession that became a surprise hit due to its imagination and some innovative filmmaking techniques. The sequel, sometimes subtitled Dead By Dawn, is practically a remake with the original team now backed with a more sizable Dino De Laurentiis budget and effects by Mark Shostrom and the KNB guys before they were KNB. They take the opportunity to innovate more, get crazier, even sillier, and take things to more outlandish, epic proportions. Personally, it's my favorite in the trilogy, although all three manage to be different peoples' favorites for their own, legitimate reasons. 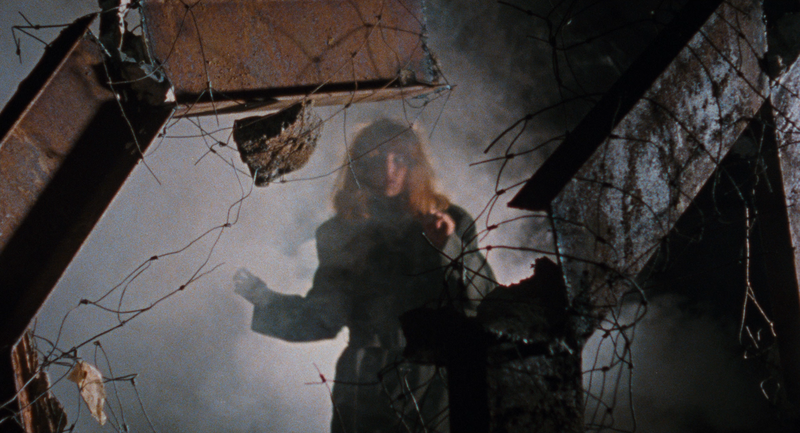 Do you prefer the more straight horror film of the original, or the far out fantasy of the third? They're all pretty great in their own right, so let's not waste anymore time and the best available versions of the first two Evil Dead flicks. 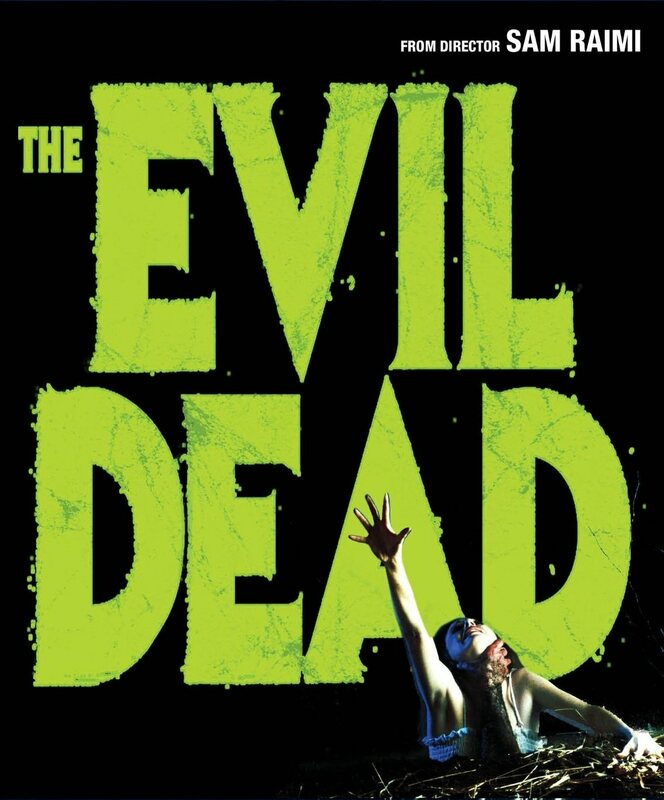 Update 7/11/15 - 10/15/18: If we're going to talk about the definitive Evil Dead experience, we can't leave out its top level format release. 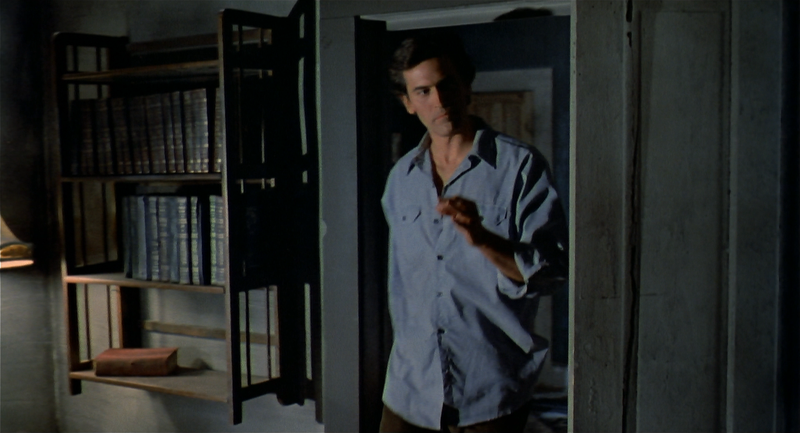 Yes, Lions Gate just put the original Evil Dead out on 4K Ultra HD, so of course I'm gonna talk about it. 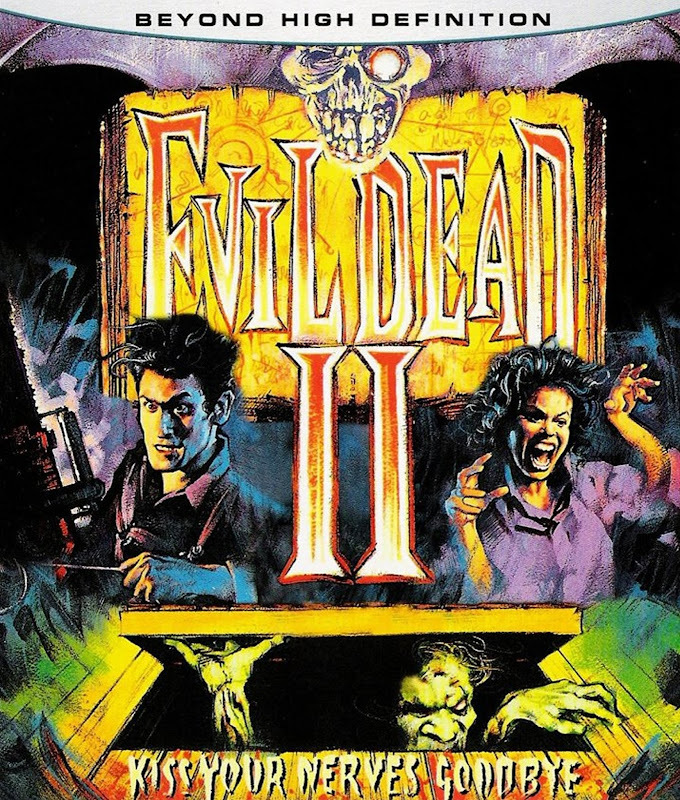 Update 12/29/18: And right on the heels of Evil Dead's 4K release, Lions Gate has put out an Evil Dead 2 UHD. Well, the first one turned out to be a nice upgrade, if also a little bit of a compromise (hint: hold onto one of your older special editions). Will it be the same story with the sequel? 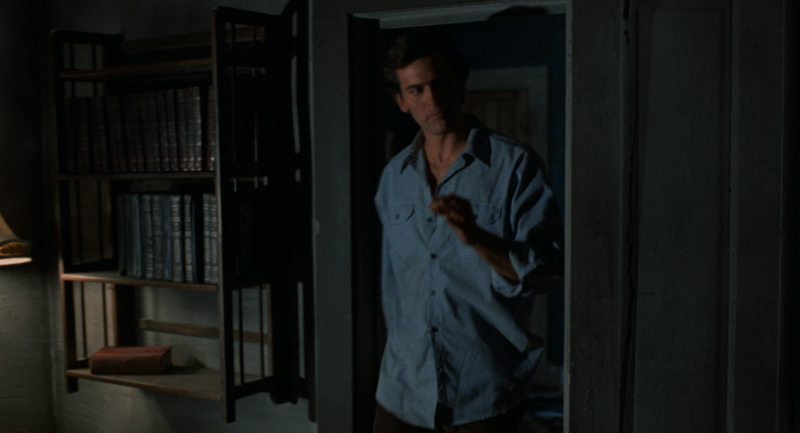 The original Evil Dead has had an unusually complicated history on DVD. Anchor Bay released it first as a bare bones, full screen (arguably the film's correct OAR) release in 1998, not too long after Elite released it the same way on laserdisc. Then Elite re-released their laserdisc as a special edition in 1999 with two commentaries and some behind-the-scenes stuff. And they also issued that special edition on DVD. Then Anchor Bay took the wheel again in 2002, releasing the 20th Anniversary edition, which had the Elite extras, more and introduced the world to widescreen 1.85:1 version. This widescreen version is a matted down version of the fullscreen version (i.e. it doesn't give us more picture on the sides, just crops the tops and bottoms), but was supervised and approved by Raimi. So that's why I said the full-screen version is "arguably" the correct OAR. You could make a case for the widescreen one, too, since Raimi made it and prefers it, saying that's how it should've always been shown (and would have been matted for theaters). And it's hard to say which version looks better, either, as it seems to depend on the shot - some look better matted, some look better composed open. It's a debate that's been going on since the 90s, and if you want to start it up again, all you have to do is visit any forum and post an opinion or ask a question about it. It will never be definitively won. And it's led to the unconventional tendency for companies now to release it in both ratios at once. So if you have a strong preference for one version or the other, make sure you're getting what you want; but conveniently, it's cheap and easy to get both in the same package. There was also a bit of business where Raimi made a few "corrections" to the film, fixing black mattes that didn't totally blend in with the background and erasing producer Rob Tapert who was accidentally visible in the background of one shot. For the most part, only the older, unmatted versions seem to have the pre-fix versions; but the changes aren't exactly as offensive as CGIing Jar Jar Binks into scenes or something. These are little fixes, not creative changes; so I think you'd have to be a real stickler to be bothered enough to only want to a version without them. So there have been more subsequent releases, perhaps most notably the very dramatically packaged Book of the Dead version, which housed the DVD in an awesome, rubbery mock-up of the Necronomicon featured in the film (Evil Dead 2 also came in one, that also made a screaming noise if you pressed a hidden button on it). Oh, and Anchor Bay also released a lunch box edition, which is just what it sounds like. But I found I was able to let go of all my past DVDs (and laserdisc) thanks to two releases, which add up to a pretty definitive package, including best looking transfers of both versions, wide- and full-screen, and all of the many, many extras. 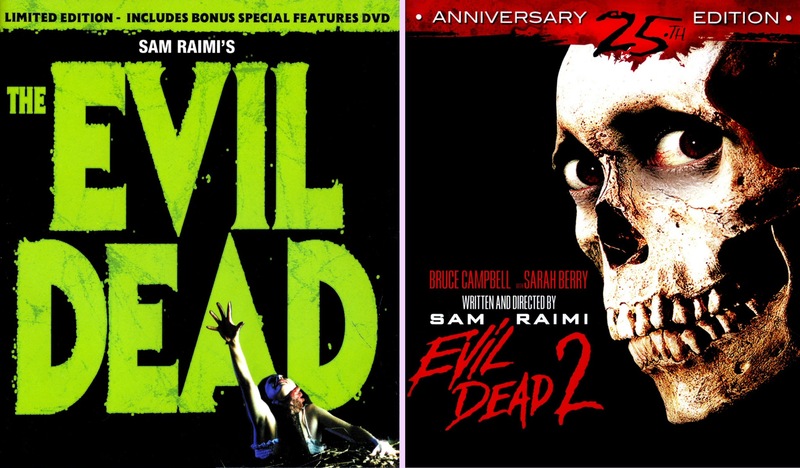 Specifically: Anchor Bay's 2010 blu-ray, and Anchor Bay UK's 2003 Evil Dead Trilogy boxed set. And in 2018, it makes its UHD debut in a 4k/ 1080p combo pack from Lions Gate. As is common with these combo packs, the blu-ray half of the pack is the same old blu-ray from the previous release, in this case Anchor Bay's 2010 blu. Same bonus trailers on start-up, same menu, it even opens with the AB logo. It's the exact same disc. But Lions Gate was good enough to come up with new label for it to match the rest of their artwork, which these packs often don't bother with. Lions Gate's full screen blu fifth; their widescreen blu sixth; and their UHD seventh. Anchor Bay often would only include the widescreen version in their releases, but the Trilogy box set happily has both. Of course, that's fairly academic now, as their 2010 blu includes both transfers and blows them and all previous editions out of the water. So we won't even ask why the two DVDs seem to have differing transfers not only in the framing, but detail and color timing. It's all been greatly and decidedly improved upon. I mean, look at that random video noise along the top. Oh alright. Actually, I do know why the full-screen transfer is softer and different. It's actually the pre-corrected version, with Rob Tapert visible, etc. See him there on the right? So if you're a purist, that's another reason to snag the Trilogy set. But onto new business now. And to start with, Lions Gate has made the somewhat controversial decision to only include the fullscreen transfer on their 4k disc. It's 1.33:1, just like all the other fullscreen transfers (technically the DVD's 1.32, but it becomes 1.33 when you crop away that excess video noise that isn't part of the picture). Both the widescreens have the same AR, too: 1.85:1, but you can see there were serious adjustments made within that frame. And that's kinda the case here, too. You can see the DVD is more zoomed in than the other three fullscreen transfers. But between the UHD and the blus, the biggest difference is really the colors, which are more nuanced and less contrasty now on the UHD. Otherwise, given its 16mm roots, detail, grain etc looks pretty unchanged. Of course, the UHD does benefit from the increased resolution technically... when you zoom in far enough, detail that starts to break down into pixelation on the 1080 is still smooth and round on the 4k. I'm not sure you'd see it in motion even on a big ol' 82" TV. The biggest benefit is really the increased brightness and contrast range. Audi-wise, The DVD had a 5.1 mix, plus a stereo mix and a French dub that was on the widescreen version only. And no subtitles. The blu-ray has a Dolby TrueHD 5.1 mix, plus the French dub, and English and Spanish subs. The UHD has the same 5.1 TrueHD track, replaces the French dub with a Spanish one, and adds a third set of subtitles (making the always welcome distinction between standard English and SDH). So it's really two areas that complicate matters beyond it being a simple case of DVD > BD > UHD, and necessitates multiple editions for serious fans. One is the widescreen transfer. If you want that, you have to forgo the new 4k UHD and stick with one of the blus. And the second area, which is even more convoluted, is the extras. See, there's actually two versions of the blu-ray. The limited edition and the non-limited. The limited edition is a single disc release that only includes an audio commentary (and some bonus trailers for other AB releases) for an extra. Interestingly, it's a new one, by Raimi, Tapert and Campbell. The previous commentaries had Raimi and Tapert on one and Campbell on the other. This one replaces that, probably mainly so Anchor Bay wouldn't have to keep licensing the commentaries from Elite. So already that's one reason to hang onto the older DVDs: the blu only has the new commentary, the Trilogy set has the two older ones. The only way to tell the limited edition and non-limited edition blu-rays apart, at least by their front covers, is the green stripe running along the top. The non-limited edition has the same cover art, just minus that stripe. And it has the same UPC number, so things get real confusing. The limited edition is theoretically long sold out, but I've found that almost no online sellers know enough to differentiate between the two versions (same UPC and all), so you have to be very careful ordering online if you're trying to secure a particular one. But that means, to your advantage, sellers are often unwittingly letting the limited edition go for the very cheap price of the non-limited edition, so you can snag it super cheap with a little bit of luck and smarts. But it's worth the trouble, because the bonus disc includes some really great stuff, many of which was brand new for this release. It includes a the original 53 minute making-of, a 60(!) minute feature on deleted scenes, a 29 minute featurette called The Ladies of the Evil Dead Meet Bruce Campbell, a 32 minute reunion panel, and four featurettes called Discovering the Evil Dead, Unconventional, At the Drive-In and a really short one entitled Book of the Dead: The Other Pages. There's also some brief make-up tests, four TV spots and the trailer. Holy cow, that's the special edition fans have been wanting since the 90s! Unfortunately, the bonus disc is a DVD, not a blu... it would have been nice to get all these new extras in HD. But they're just extras, so it's not that crucial, and the content is great enough as it is. Meanwhile, the Trilogy has a couple of those extras, including the Discovering the Evil Dead featurette the trailer and the TV spots. But, besides the two commentaries, it has more of the older extras not carried over to the blu, including a 26 minute documentary Bruce Campbell directed himself called Fanalysis. It also has the same behind the scenes and outtake footage that dates back to the laserdisc. 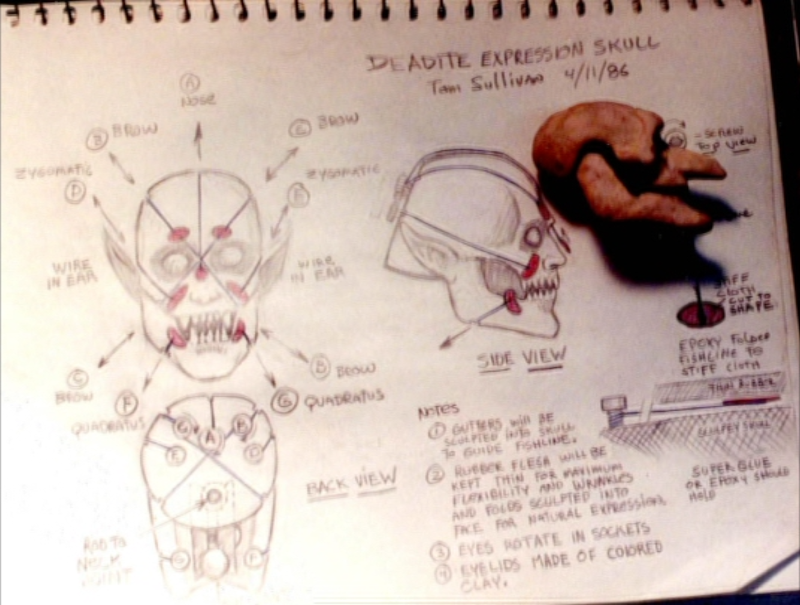 Oh, and there are also little easter eggs of a make-up test and footage from an Evil Dead screening, plus an 8-page booklet. But that's still not all. The Trilogy also has some exclusive extras, some of which are pretty dodgy, but still worth noting at least. The best of the bonus disc extras is the vintage episode of The Incredibly Strange Film Show, which interviews Raimi back in the late 80s. 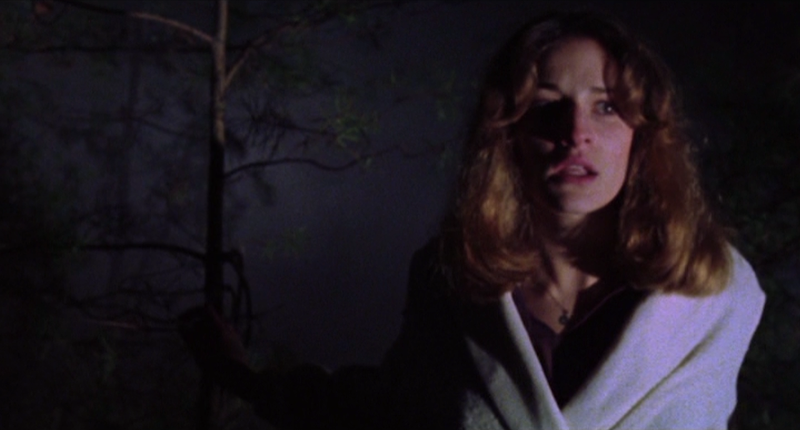 But then things get weird, with a collection of extras hosted by a rather irritating lady who sits in a tree [pictured above], with titles like Bruce Campbell: Geek or God? Rather than featuring anyone involved with the making of the film, they're a collection of interviews with mostly British journalists, including the awfully controversial Allan Bryce. Most of this stuff is pretty dry, and it doesn't help that it's mostly shot in low video quality; although some of these guys come off better than others. But nobody tells you much you won't already have known going in. The most interesting segment is a short on how the film was marketed in the UK, featuring interviews with the guys who drew the UK poster art, since they at least have a modicum of first-hand involvement. But this stuff, I'd say, should be reserved for the serious fans who really want to see everything. Otherwise it's very skippable. There's even a very cheap rock music video "inspired" by the Evil Dead, which was performed by one of the experts interviewed previously. 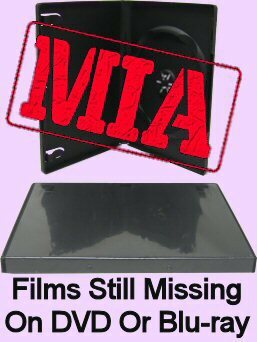 Still, though, the Trilogy box is a nice cheap way to get Fanalysis and the Incredibly Strange Film Show episode into your collection if you otherwise just have the blus. And the other odds and ends are at least better to have than not. And the new UHD combo-pack? Prepare to be disappointed. Again, the blu is the same 2010 blu Anchor Bay released, so it has no extras but the newer commentary. And the UHD? Same deal; just that one commentary. Nothing else included, not even the trailer. Surely they wouldn't've had to license that from AB? Well, it does come in a slipcover. Now, Evil Dead 2 has a pretty similar story, except Elite only issued their version on laser, and left all the DVDs to Anchor Bay. 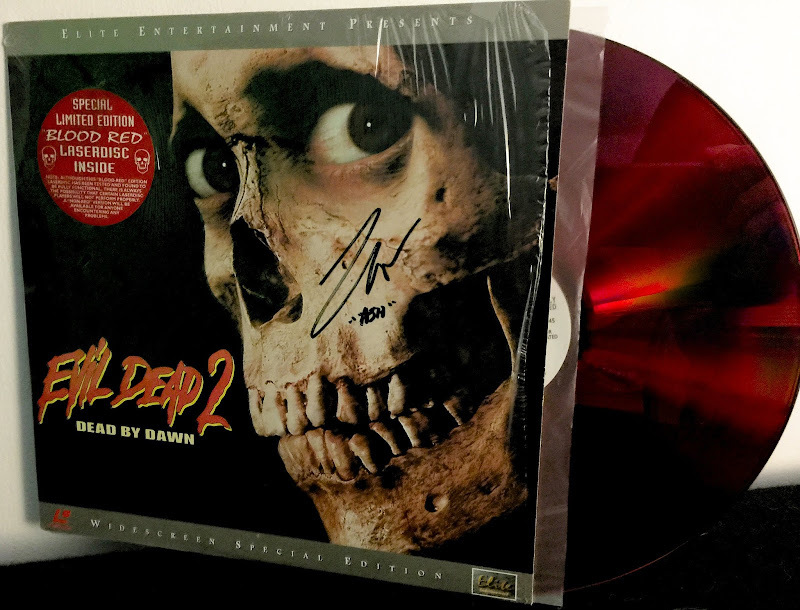 In this case, I hung onto mine, because not only did I get the limited edition "blood red" laserdisc, where the disc itself is colored red (definitely something you don't see), but as you can see in the photo, I've had mine personally signed by Bruce Campbell. So it's a pretty neat collectors' item, and as a bonus, we can throw it into the comparisons. 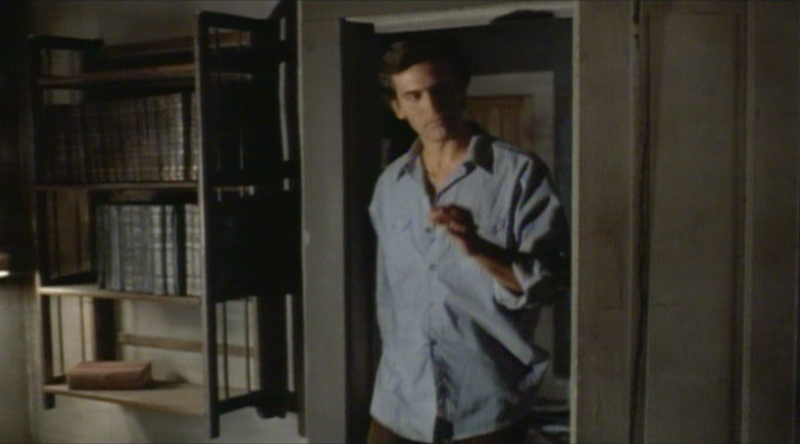 There have been fewer issues of Evil Dead 2 in general, and we don't have the dual fullscreen/ widescreen thing going on (although Anchor Bay did once include an open matter version as a bonus on one of their old discs, possibly just out of habit). Elite released their laserdisc in 1998 with a commentary by Raimi, Campbell, Greg Nicotero and Scott Spiegel, plus a 30-minute making of and the trailer. Anchor Bay released it as a bare-bones non-anamorphic DVD in 1998 and then spruced it up as an anamorphic special edition with the laserdisc extras in 2000. There were a couple more releases - in a tin, a THX version, and the book of the dead version - but nothing more was ever really added to the mix. The disc in the trilogy is pretty much the same as all post 1998 discs: anamorphic, with the same extras from the laserdisc ported over. 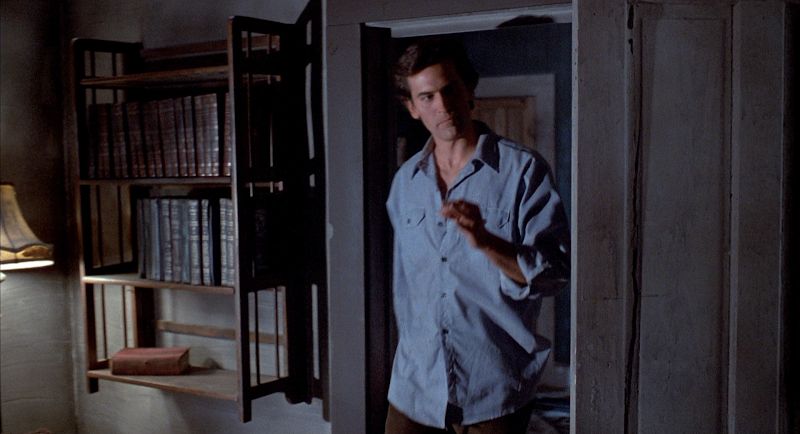 But there is one complication in that Evil Dead 2 later saw two, quite different blu-ray releases. 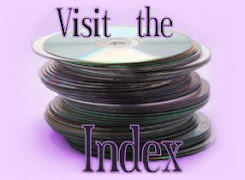 The first came from Anchor Bay in 2007, essentially just bringing their old DVD into the high definition market. And then a newer 25th Anniversary Edition from Lions Gate in 2011, which surprisingly kicked Anchor Bay's disc in the teeth. It had an all new transfer, the old extras once again carried over, plus a whole bunch of new stuff, finally giving this film the definitive special edition it deserves. Or, at least, it was the definitive edition before a new format rolled into town. Now that we've got a 4K Ultra HD disc, can we toss our 25th Anniversary blus? Let's take a look and find out. Ick. Look at Anchor Bay's blu-ray. I mean, sure, it's an upgrade from the old 1.80:1 laserdisc, and maybe even the 1.84:1 DVD. But it's looks like the compression noise of the DVD wasn't cleaned up so much as DNR'd away. At least it's finally exactly 1.85:1, but the image looks so smooth and washed out, with weird sharpening around the edges. The closer you look, the worse it gets. Actually, with that terrible edge enhancement, I think I do prefer the DVD. But then, wow, look at Lions Gate's blu-ray's transfer (also 1.85:1). They must've taken a whole new scan; it's so much more detailed and cleaner. It's also a little less green, which is nice. Yaknow, Lions Gate gets a lot of flack (which they deserve) for sitting on a ton of great catalog titles (at least pre-Vestron), but when they come through on a title, they really come through. And now, they've improved things even further with their UHD (the blu-ray it's packaged with, by the way, is just another copy of the 25th Anniversary Edition). Grain is more natural and thoroughly captured even than their blu. I know "better grain" isn't a big selling point, but it's a quick way to verify a higher quality image. And that higher quality definitely yields us a more vivid picture. I can't say there's a heap more detail, like we're counting every individual hair on Bruce's head, since we seem to have pretty well hit the limit of what was captured on film. But what we do have is a decidedly more genuine, filmic experience. Colors take advantage of the greater range, too, becoming darker and less contrasty, which is also an improvement. Despite still having an AR of exactly 1.85:1, the framing is slightly tighter than their blu (and much closer to AB's), though not to the point where you'd notice it without a direct comparison like we have here. Audio-wise, the laserdisc just had a basic mono track and no subs, while the DVD just gave us a 5.1 mix, plus German, Italian and Spanish dubs and a host of subtitles, including English. The AB blu actually gives us two 5.1 mixes: LPCM and a lossy Dolby Digital, and strips away all the foreign subtitles, just leaving the English. Lions Gate just gives us the one DTS-HD 5.1 mix, plus English and Spanish subtitles, on both the BD and UHD. Yes, it seems to be exactly the same audio mix on both editions, but that's alright, since the blu's lossless track was already excellent. 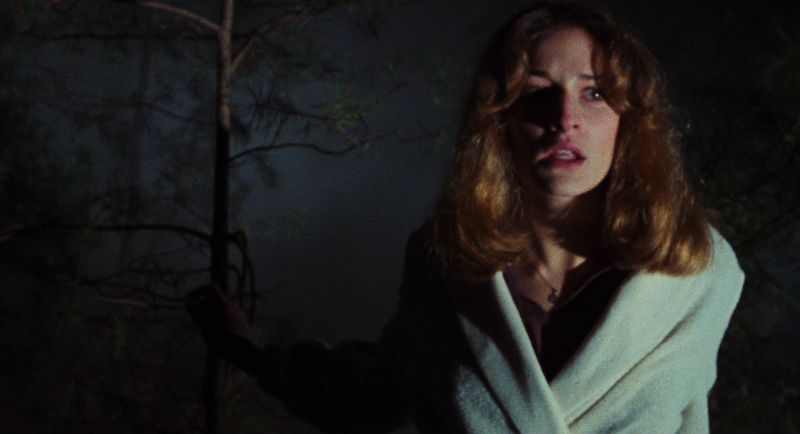 Extras-wise, the Anchor Bay blu did come up with a little something extra. 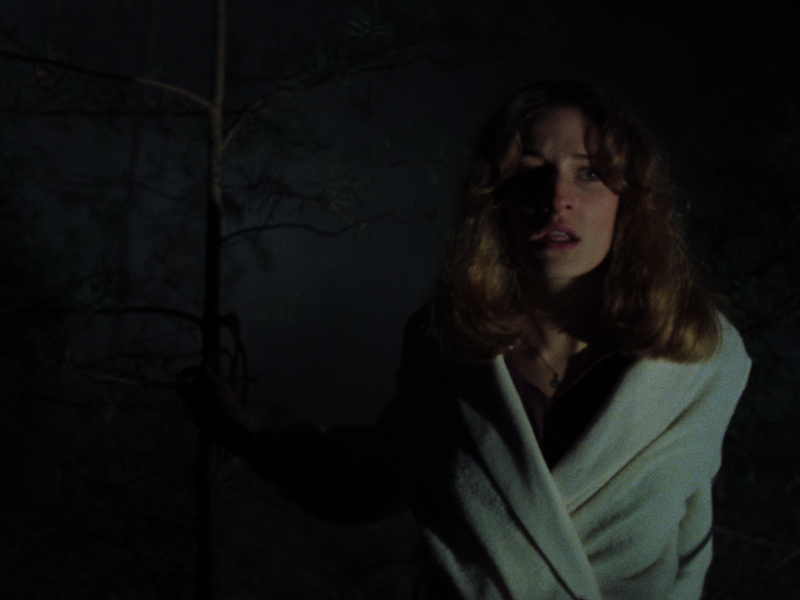 In addition to the stalwart laserdisc extras, they added a new featurette called Behind the Screams. It's just a 17 minute collection of photos narrated by Tom Sullivan, but it's kinda neat, and at least gives us a little more Evil Dead 2 content. But then Lions Gate swoops in. They bring in all the laserdisc stuff: the commentary, the making of, and the trailer. They pick up Behind the Screams, too, so completists you don't have to worry about getting the Anchor Bay blu just for that. But then they come in with a treasure trove of new stuff. 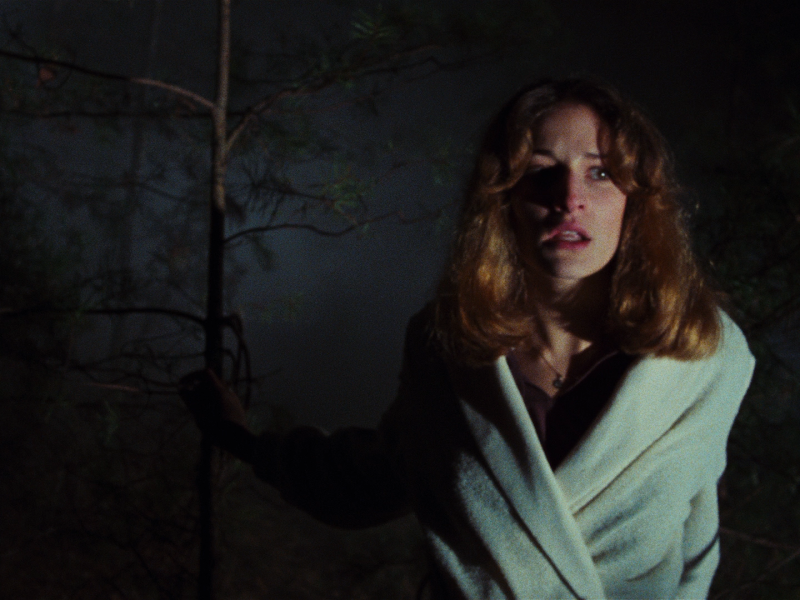 Most notably, they have a full-length (98 minutes), seven part documentary on Evil Dead 2 called Swallowed Souls, which is pretty comprehensive. They could have released just that doc by itself and I would have bought it. 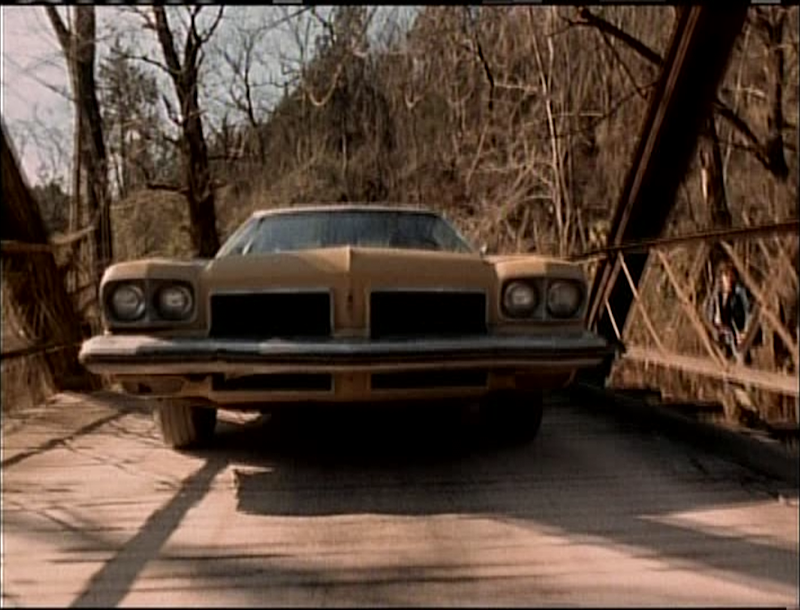 And then just to fill in any remaining gaps, they have a another 30 minute behind-the-scenes featurette called Cabin Fever, and a cool little 8 minute thing on the film's locations. Plus there are four stills galleries and several bonus trailers. ...And the blu was so cheap, too; it was like a budget release except really a top shelf, first class special edition. Now the UHD itself only has two special features on it, including the audio commentary. But because it includes the 25th Anniversary blu as well, that means we get 100% of those special features. 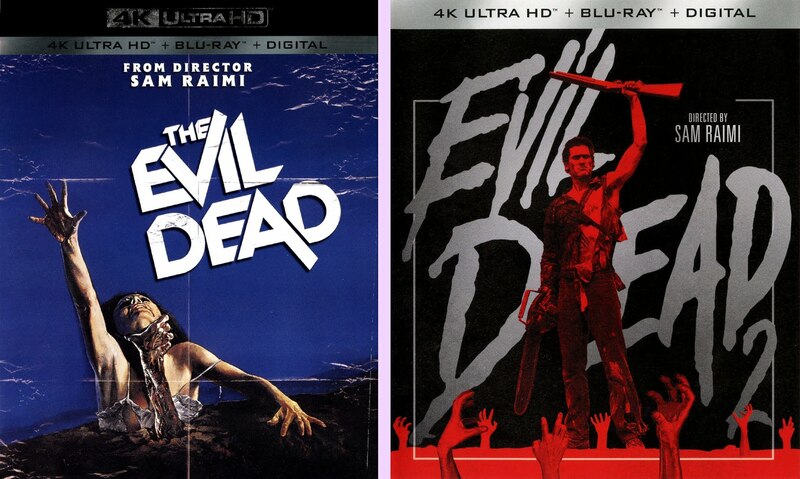 So unlike with the first Evil Dead, you don't need an older special edition in addition to your UHD to have everything. Also unlike the first Evil Dead, this UHD introduces a new special feature, an almost hour-long, all new documentary. Because the previous extras talked to pretty much everybody involved and already scared up every behind-the-scenes anecdote there is to tell, this new feature had to go in a different direction. They talk to nine other horror filmmakers about Evil Dead 2, and the influence it had on their work. All told, the line is: Roger Corman, Guillermo del Toro, Edgar Wright, Vincenzo Natali (Cube, Splice), Jan Kounen (maybe not a big horror director, but he made that Coco Chanel & Igor Stravinsky movie), Xavier Gens (he did a couple obscure indie horrors and was one of the 26 ABC's of Death directors), Fabrice du Welz (even looking him up on the imdb didn't clarify anything for me), Eric Valette (best known for the English language remake of Takashi Miike's One Missed Call, I guess) and Marcus Nispel who did the Texas Chainsaw and Friday the 13th remakes for Platinum Dunes. Can you tell this doc was made in France? Anyway, it's kinda neat. And this release also comes in a cool, shiny slipcover. It's really awesome how good the final blu-rays came out for both these films, and with surprising terrific new extras for both. 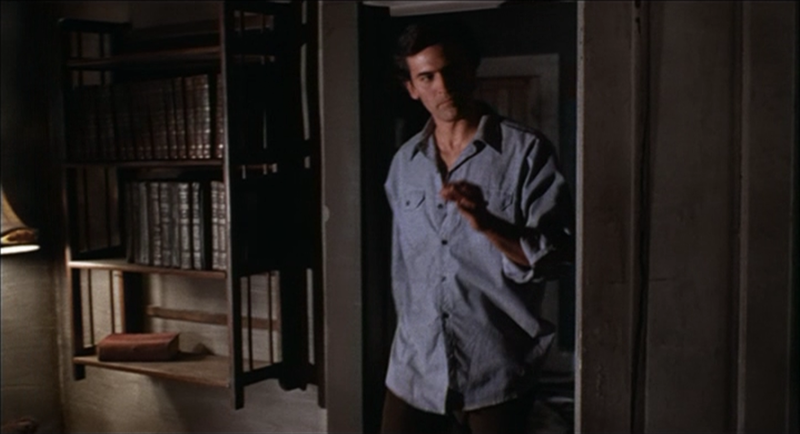 In the age of "do we really need another Evil Dead disc," the UHDs earn their keep, too. Especially the second one. It's just a little annoying that you need to find an older disc of the first Evil Dead to have most of its key special features. And if you still want more after those, get that UK set. It's got all kinds of weird odds and ends. But isn't the full screen version on the Ultimate Edition the unaltered version too (with Rob Tapert on the right side)? Incidentally, from what I can tell on a Caps-A-Holic comparison, the UHD is probably the unaltered version with no Sam Raimi tweaks. Can you confirm? The UHD is not the completely unaltered version, but what appears to be an intermediate stage. Some changes remain (Rob Tapert being painted out) and some are reverted. Likely, when the original blu-ray was being produced, some changes were made after the 4K scan, and some were made in 1080p. So it's a littler better, but not 100% unaltered. It really doesn't make all that much difference, though. The changes are so insignificant. Also, the Ultimate Edition has all the DVD extras from the Limited Edition, so really, it's a lot cheaper and easier to locate that DVD edition than to locate the Limited Edition blu-ray. Yeah, these (fortunately? unfortunately?) 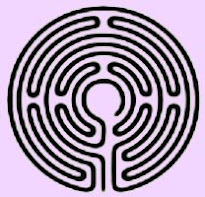 are still altered versions. Tapert is definitely removed from the blu and UHD versions. They have the lightning strike the tree, though as that Bookofthedead site points out, that had been restored even on most prior DVD versions. The UHD is still fixed to make it look like daylight than night outside when Scott explores the cabin and shed... The shot of Linda screaming around the 36 minute mark is still flipped so she's facing right not left... So yeah, all those alterations are still there. But then again, those little background lights around the 34 minute mark are back, the crossfade that smoothed out the jump cut is gone, and the handheld shots at the end have their shakiness back. So I guess, as Alex already commented, it's a bit of a hybrid. The most noticeable changes all seem to still be here, though, so yeah. Basically the altered versions, but a bit less altered. I never understood why Linda's image was flipped in the first place, considering that after she is stabbed in the ankle with a pencil by Cheryl, she's actually facing down in the correct position in the first place.